oatmeal lace design: weekend fun. 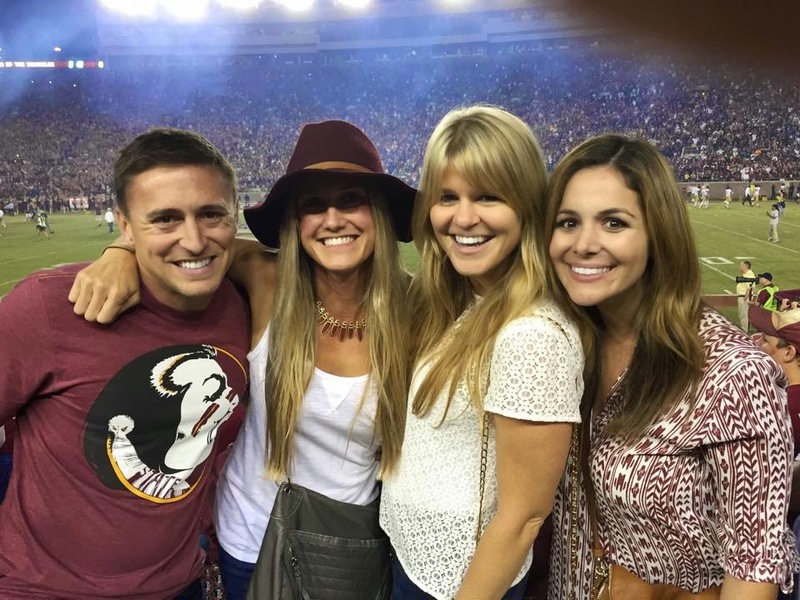 we were in tallahassee this past weekend visiting family and attending our one football game of the season. HOLY MOLY was it the right game to attend! nailbiter to the end and so much fun to be in the stadium-the energy was crazy! since I don't ever blog anymore I figured no one really reads this stuff, so I'll just post a fun photo from the game that highlights the BEST.HAT.EVER. this is my 'fashion' post, if you will. thank you, joey pittman, for finding my new favorite accessory. :):) click HERE for the hat, in case you love it as much as I do and want one for yourself.